Join us for a weekend full of running at Fleet Feet! 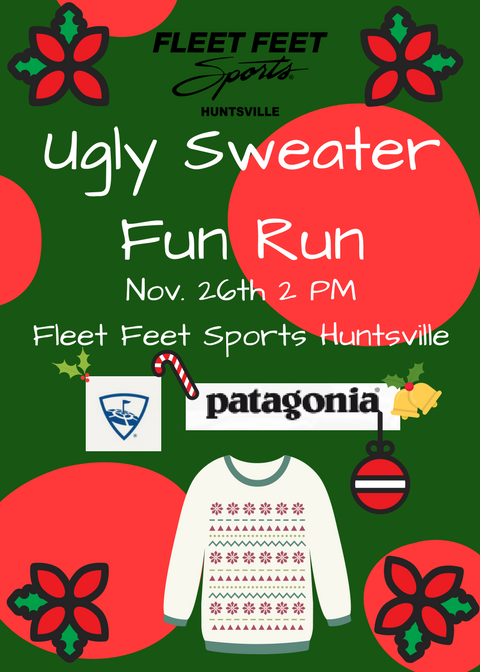 Following the Run It Off Fun Run and the Iron Bowl Run is the Ugly Sweater Run! Gear up for Christmas by sporting your ugliest Christmas sweater. Ugliest sweater wins a prize! 3 and 5 mile options with treats and giveaways to follow!